Take advantage of INTA’s enormous variety of networking events, CLE courses, workshops, and panels. INTA has provided an official schedule here and a list of official networking opportunities here. Boston is a city chock full of cafes and with a variety of neighborhoods to explore. Here are a few cafes close to the convention center and perfect for a casual meeting. Walking: Boston is a great walking city. It’s just a 20 minute walk to the center of Downtown, and close to dim sum in Chinatown or Italian in the North End. Transit: the MBTA provides good train coverage throughout much of the city. INTA is located near the Silver Line, a bus rapid tran	sit line that connects to the airport and Downtown Boston. Carshare: Lyft and Uber are always reliable options for getting around the city. Mul’s Diner - Diner classics in South Boston within walking distance of INTA. 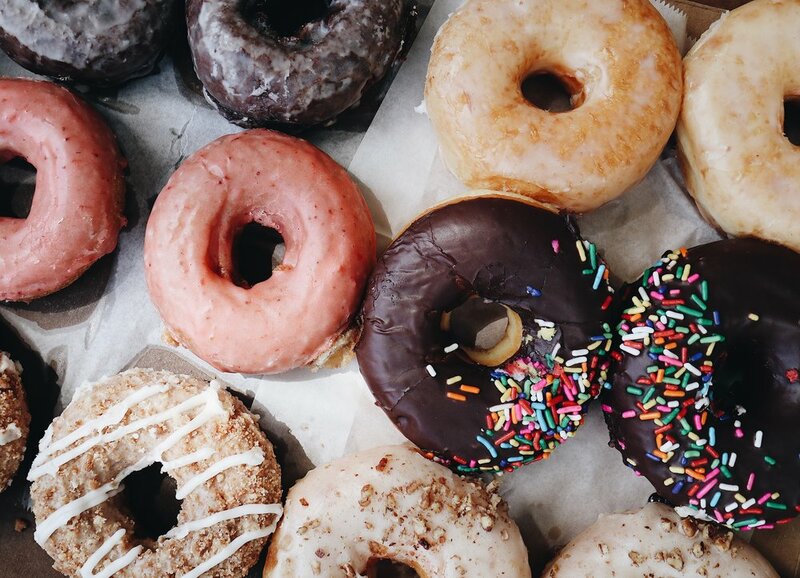 Blackbird Doughnuts - Creative donuts in multiple locations. Hojoko - Japanese sushi and snacks in the Verb hotel in Fenway. Try the wasabi roulette! Eastern Standard - Kenmore Square restaurant with large bar, late night raw bar, and craft cocktails. A bit of a scene. Drink - Craft and classic cocktails near the convention center. Silhouette - Classic dive bar with pitchers, darts, pool, and free popcorn. Lord Hobo - Craft beer from a local favorite in Cambridge. Trina’s Starlite Lounge - Retro Somerville joint with cocktails and bar food. State Park - Frozen drinks, cocktail pitchers, and southern food in Cambridge. Great Scott - A music venue and bar in Allston with cheap covers. Freedom Trail - Explore some of the key sites of the American Revolution in and around Downtown Boston. Faneuil Hall - A historic market and food hall. Boston Common and the Public Garden - Central, historic green space in the heart of Boston. Museum of Fine Arts - One of America’s top museums featuring everything from ancient Egypt to abstract art. Isabella Stewart Gardner Museum - A pristine collection of Renaissance art, among others, in a palazzo-style setting. Brighton Music Hall - A great venue to see indie bands. 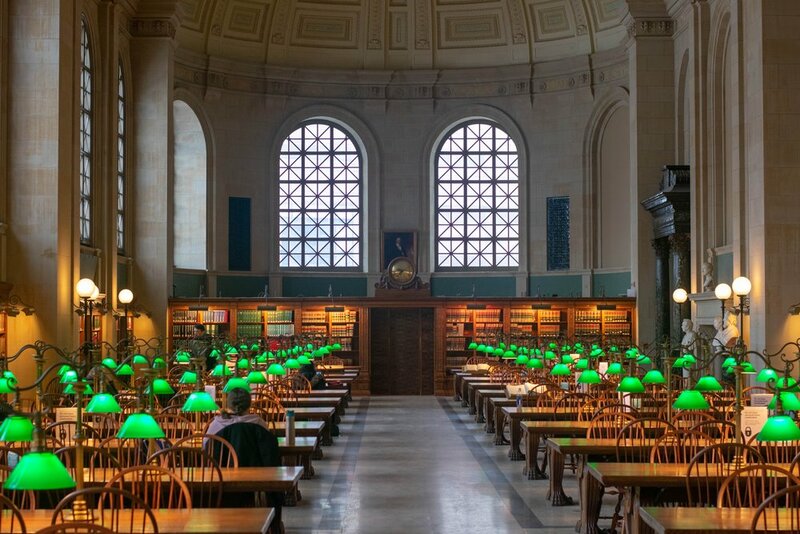 Boston Public Library - Historic library building with millions of books. The Boston Pops - Classical and modern music, including the Star Wars score, performed in venerable settings. Fenway Park - Catch the Red Sox at the oldest active ballpark in baseball. Coolidge Corner Theater - Catch a movie in hipster heaven, including late-night cult classics.